We love lipsticks and the Lip Bar is one of our favorite lipstick brands. The Lip Bar is an affordable (lipsticks are all under fifteen dollars) Detroit-based brand that makes amazing non-toxic, vegan, cruelty-free, and high-quality lip products in various shades and finishes. The Lip Bar has come a long way in the past several years since the brand first appeared on the hit television show Shark Tank. Since then, the Lip Bar has been worn by Taraji P. Henson at the Oscars, partnered with Ashley Blaine Featherson from the hit Netflix series Dear White People, and has celebrated the beauty in all women by featuring models of various religions, skin tones, hair textures, and body types. In February 2018, the Lip Bar launched in several Target locations around the nation and recently expanded into more Target locations (including locations in the Metro-Detroit area). 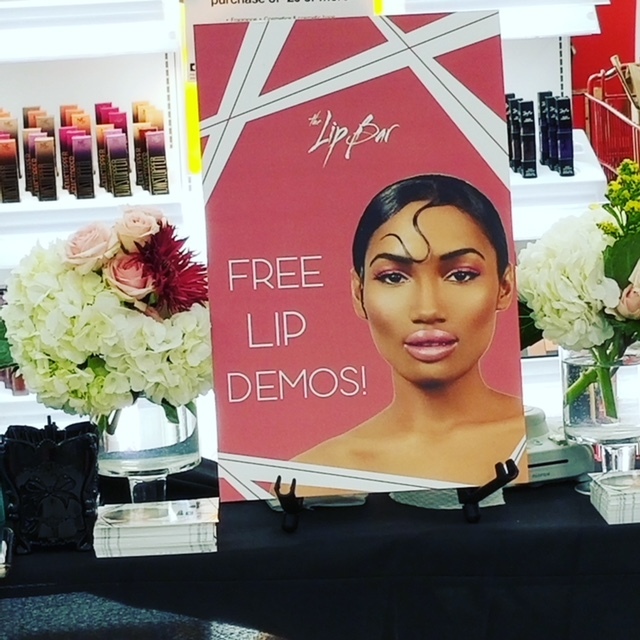 On June 23rd, the Lip Bar hosted an event at the Target in Southfield, Michigan. At this event, professional makeup-artists made women feel amazing by mixing several shades of lipstick to create a custom look for each person. Please enjoy our photo recap of the event below! Kelechi Uchendu with the CEO of the Lip Bar, Melissa Butler. The Lip Bar’s products are so popular that the merchandise was almost sold out way before the event was over! Selfie! My ombre lips were created with Bawse Lady (which is one of the Lip Bar’s most popular products) and Haute Mess. The Lip Bar can be followed on Instagram @thelipbar. We would like to thank Melissa Butler and the team at the Lip Bar for being an inspiration and for putting on such an amazing event for the community. To search for more on this event use #TheLipBarTakesTarget on Instagram.